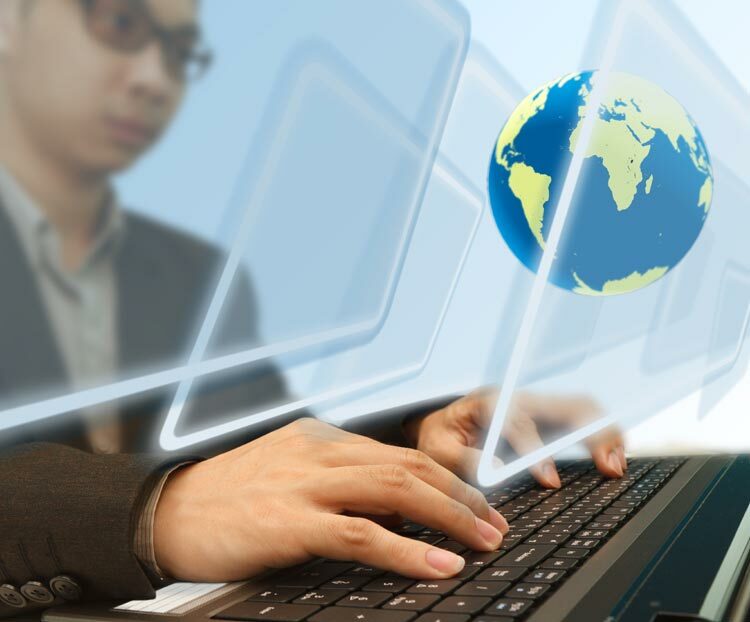 Global POS Software 2016, a new study by strategic research and consulting firm RBR, reveals that North America accounts for 42% of the world’s point-of-sale (POS) software installations. The report, the first in‑depth international study of this dynamic market, shows that Asia-Pacific is the second largest region, followed by western Europe. General merchandise, comprising both speciality chains and mixed retailers such as Walmart, makes up half of the North American market, driven by high consumer spending. The region is also home to many of the world’s largest hospitality firms, including Yum! Brands, Starbucks and Marriott International. 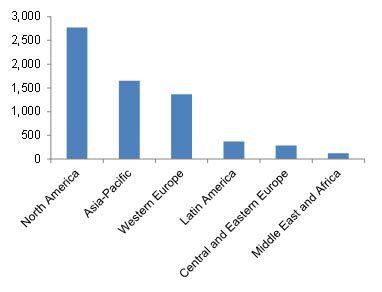 China and Japan are the main POS software markets in Asia-Pacific and together account for 67% of the region’s deployments. Small format stores, such as 7-Eleven, represent a significant part of the grocery sector across the region, particularly in Japan. RBR’s research also highlights the importance of grocery retail in Europe; the heavily concentrated sector, which includes supermarkets, convenience stores and pharmacies, accounts for 70% of the European POS software market. There are a limited number of large grocery players in each country, including Edeka in Germany, Système U in France, and Magnit in Russia. 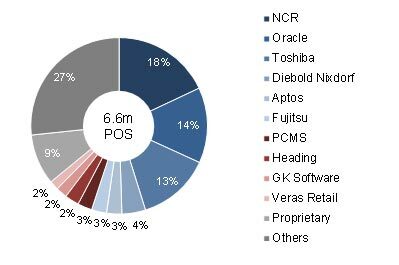 RBR has found that NCR has the largest number of POS software installations of any vendor worldwide, with Oracle and Toshiba close behind. NCR leads the global grocery segment, and is the largest vendor overall in both western Europe and the Middle East and Africa. Oracle is the second largest POS software supplier worldwide, and ranks first in North America. It also leads the global hospitality and general merchandise segments. Toshiba is the largest supplier to both Asia‑Pacific and Latin America. The vendor has a strong focus on grocery retailers and mass merchandisers. Other leading international vendors include Diebold Nixdorf, which ranks second in EMEA, and Aptos, which has the majority of its installations in the North American general merchandise segment. Japan’s Fujitsu and PCMS of the UK both have major customers in the US as well as strong positions in their home markets. GK Software has the largest share in Central and Eastern Europe, while most users of software from Veras Retail, which acquired JDA’s POS software business in 2016, are in North America.